Publication: Sp. Pl. 1: 301. 1753. Notes: Taxonomy follows FNA; native races on shorelines in Washington are not easily separable from introduced (European) garden material that occasionally escapes. Characters based on plant size, tepal shape or color are unstable. FNA26: "Allium schoenoprasum is native in North America, but it is also cultivated and has widely escaped. It is an extremely polymorphic species, and throughout its range both large and small races occur. These plants have been known as A. sibiricum, A. schoenoprasum var. sibiricum, or A. schoenoprasum var. laurentianum, and many, largely unsuccessful, attempts have been made to distinguish the varieties. Until the variation can be worked out along natural lines, if any, instead of unstable features such as plant size, and color and shape of the tepals, recognition of these varieties is unsound. Because we are unable to separate native populations from many of the escaped ones, we cannot reliably map the native distribution of this taxon in the flora." » Tardiff, B. and P. Morisset. 1990. 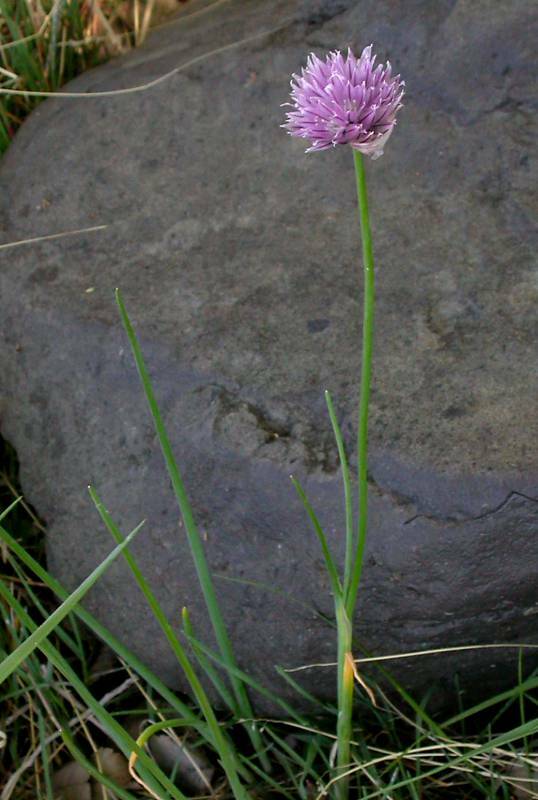 Clinal morphological variation of Allium schoenoprasum in eastern North America. Taxon 39: 417–429.